Why Do People Live in Creekstone? Creekstone is located just minutes from Interstate 65 off S. Royal Oaks Blvd in Franklin TN. It offers close proximity to the Cool Springs commercial area and historic, downtown Franklin. This neighborhood is a short walk to shopping, dining and banking which makes it an appealing option for those who like to get out and walk. 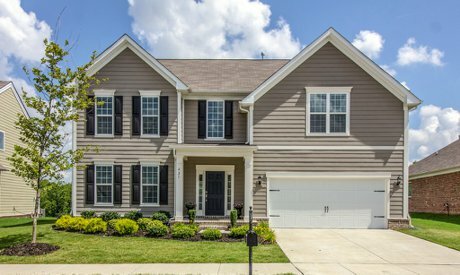 What's the Creekstone Neighborhood Like? Creekstone homes were built between 2008 and 2014. There are approximately 150 homes ranging from 2,200 square feet to 3,500 square feet. All the homes were built by Pulte Homes and range from 3 bedroom one-levels to 5 bedroom two-stories. You will find a variety of finishes in these homes including hardwood floors, stainless steel appliances and granite countertops. There is one passive park located in the center of the neighborhood but it is a short drive to the YMCA on S. Royal Oaks Blvd. What Type of Activities are Offered Near Creekstone? As previously mentioned, the YMCA is just down the street and offers swimming, fitness classes and workout facilities. Cool Springs Galleria is just 10 minutes down the road. You will find a variety of shopping and dining in this area. Many residents take advantage of the close proximity to historic, downtown Franklin and the many festivals that take place there several times a year which include Wine Down Main, Pumpkinfest and a Dickens of a Christmas. You can also take advantage of theater productions offered at Pull-Tight Theater and Boiler Room Theatre. As well as, concert events and movies offered at Franklin Theatre. What Schools Will Creekstone Students Attend? Let Us Help You Find Your Creekstone Home.